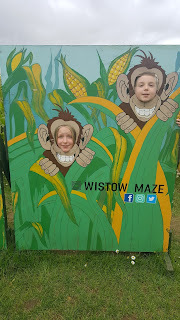 We decided to visit Wistow Maze. I'd heard about it last year but missed the opportunity as it is only open July until mid September. This year it closes 17th September so you still have a couple of weeks to visit. As the name suggest it is a maze. 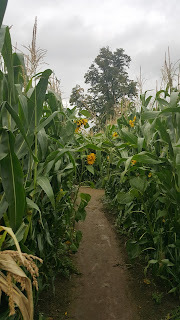 It is made out of maize/sunflowers and cut down in October and fed to the cows. 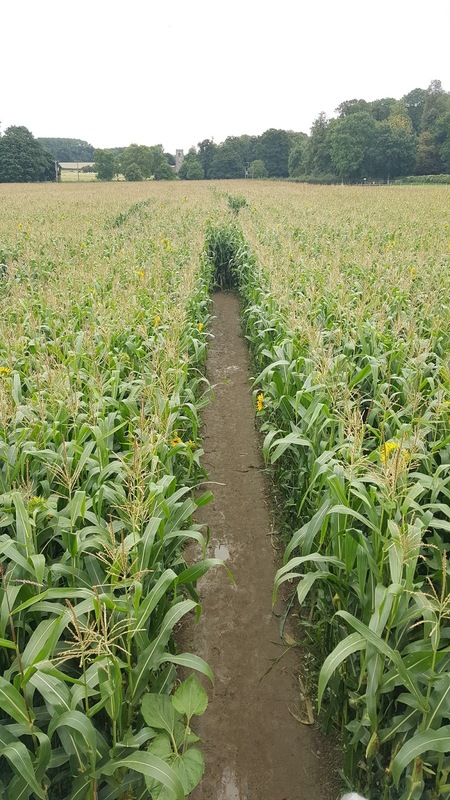 It is a whopping 8 acres and the maize can grow to 8 feet tall so it really is a maze. This year it is in the design of Sherlock Holmes to celebrate the 130th anniversary. 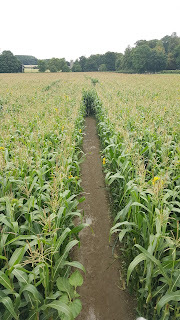 I think early in the season it is a little easier as the maize is not as dense or tall! 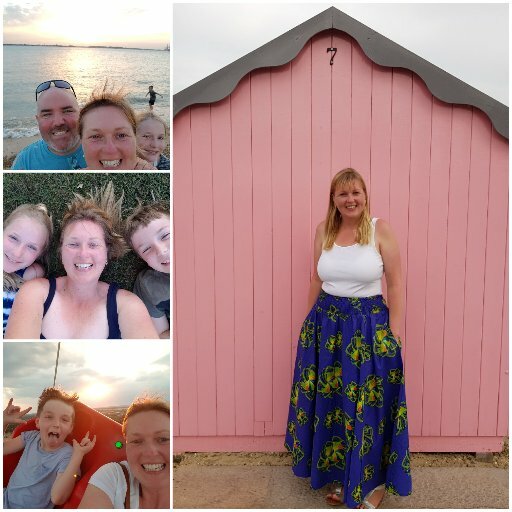 We found it very easy to lose our bearings and sadly did not complete all of the clues as my son wasn't quite as enthusiastic as the rest of us. Wistow recommend 1 1/2 to 2 hours to complete the maze. You have to collect 12 clues on route and at the end find your prime suspect. You pop the name on a sheet and post in the prize box and someone will be selected at random. There are 2 maps/quiz sheets which I didn't realise and the easier one would probably have suited my son better. I loved it as did my 10 year old daughter and I would return. Be prepared though as when we visited the paths were very muddy. Also take cash they do not accept cards and the nearest cash machine is 1.6 miles away at the Co-op. I would also check the website before you leave as on odd occasions they do close if the weather has been really wet. Parking is free and buggies are allowed. No dogs though. 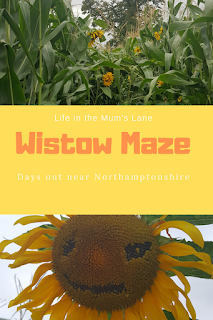 At the start/finish is a small play area with some mini mazes and games and across the road a Rural Centre which has a café, garden centre, model village, art gallery and more importantly the toilets. Opening time: 10am to 6pm with last entry and 4.30pm. I think is a great family activity to get the kids outdoors and something a bit different. I'll hopefully return next year.